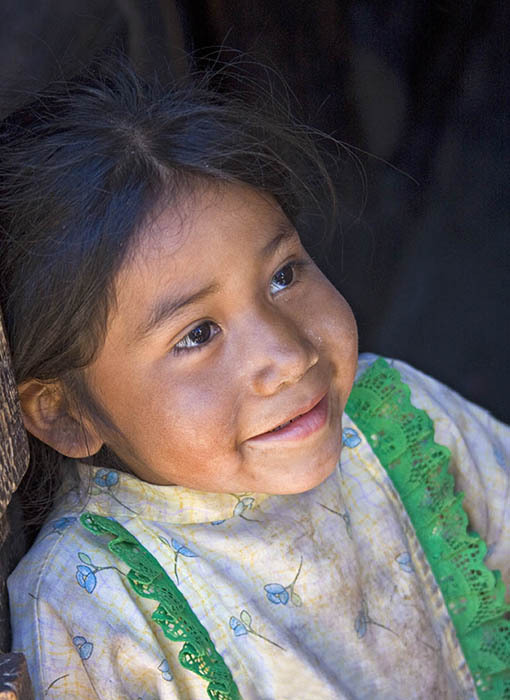 Caption: Young girl in her simple log cabin home in the Tarahumara village of San Alonso in Copper Canyon, Mexico. Comments: Young girl in her simple log cabin home in the Tarahumara village of San Alonso in the Copper Canyon area of Mexico. The Tarahumara are related to Maya Indians and are a shy people who live in Copper Canyon. Many still wear traditional clothing and live a simple life, often without electricity or modern conveniences.